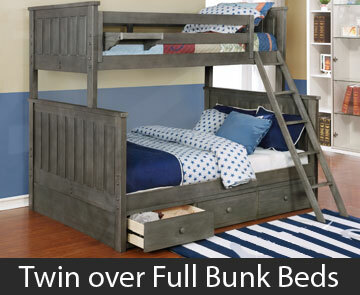 Are you looking for bunk beds? 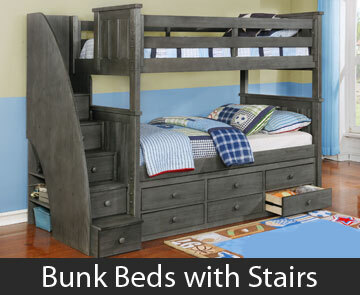 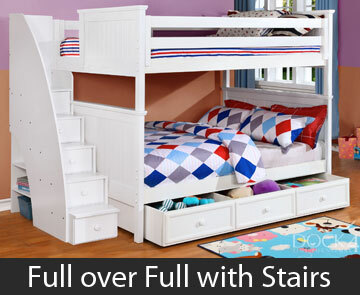 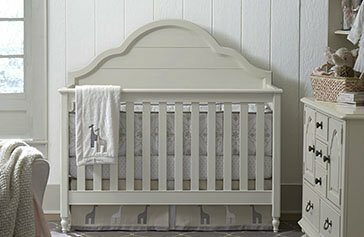 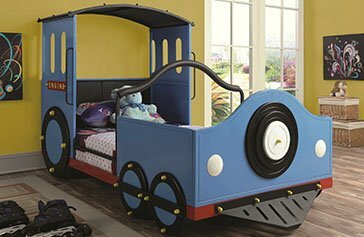 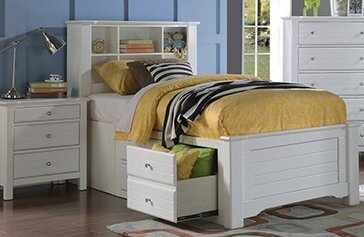 At Kids Furniture Warehouse we have many bunk beds and other children’s furniture for sale. 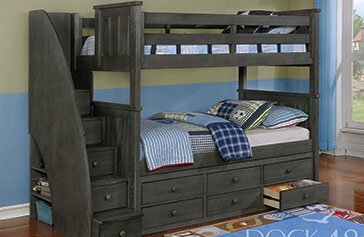 With bunk beds in our Orlando, Tampa and South Florida stores, we have the best selection of quality bunk beds in Florida! 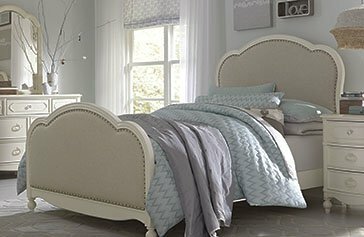 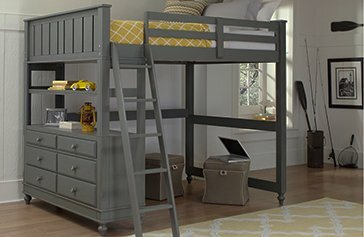 Whether you are looking for bunk beds, loft style bunk beds, futon bunk beds or any other type of bunk bed, we carry styles to match any bedroom. 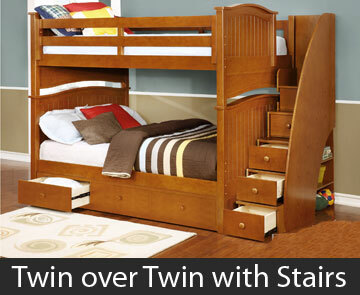 Our bunk beds are made of strong and sturdy hardwood and quality materials. 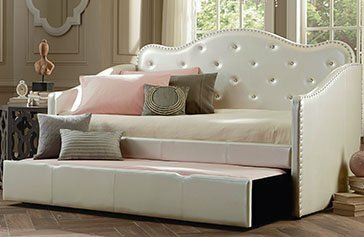 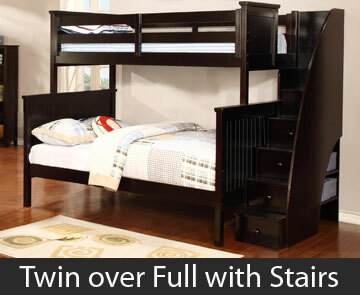 We ensure that our furniture is of the highest quality and safety standards. 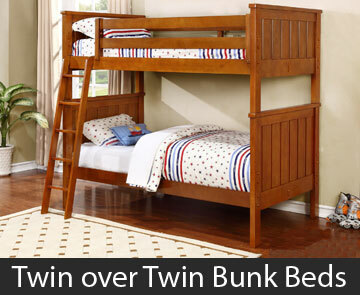 Bunk beds are great for sleepovers, multi-child rooms, or dorm rooms. 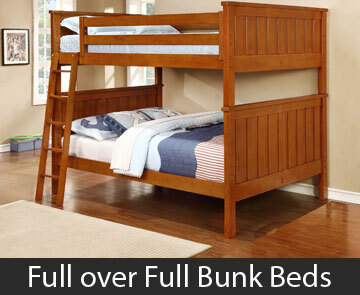 Bunk beds are great for utilizing the vertical space in any bedroom. 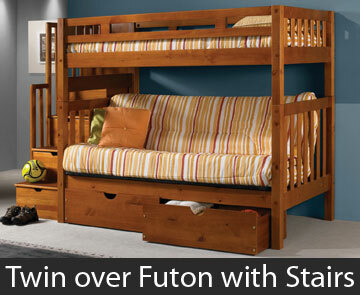 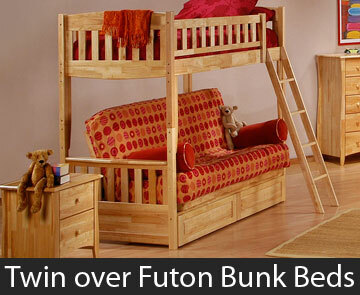 Bunk beds come in different sizes including twin over twin, twin over full, full over full, and futon style bunk beds. 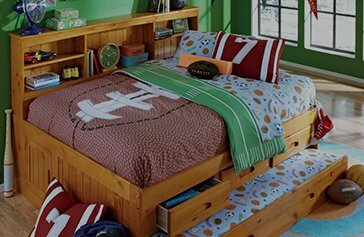 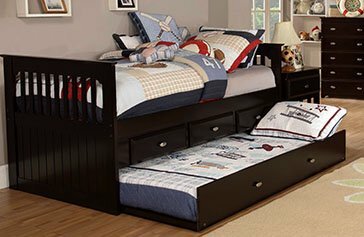 Whether you’re in Orlando, Tampa or South Florida, we encourage you to browse the great selection of bunk beds we have and find one that both you and your child love.